(NaturalNews) More evidence has emerged proving that chemical giant Monsanto is anything but neutral when it comes to presenting the facts about Genetically Modified Organisms (GMOs). 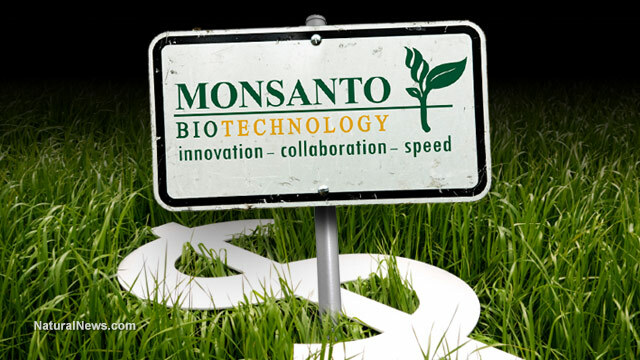 A series of secret emails between Monsanto employees and various university scientists reveal that, regardless of whether or not money was involved, Monsanto is actively working within academia to create bias in favor of its products. It's a dark saga that's been unraveling for several years now, and one that's sure to continue in the coming years – Monsanto's illicit allying with college faculty and government officials for the purpose of trying to gain more rapport in the public eye. The agri-chem giant believes that if it can successfully get enough credible names on board the GMO train hawking its wares, then more people will accept GMOs, even in spite of a total lack of safety evidence. Thanks to the valiant work of the group U.S. Right to Know (USRTK), we now have concrete evidence that Monsanto has been working directly with university academics to help them pen op-ed articles and participate in speaking events, all in the promotion of GMOs. Emails dating back to 2013 reveal that at least nine prominent academics have been working with Monsanto to recreate a more positive image for GMOs, which amounts to nothing short of deceptive fraud. Leading the charge to take Monsanto's reputation up a few notches is Eric Sachs, the company's strategic engagement lead, who wrote one of the first emails uncovered by USRTK asking university academics to write "short policy briefs on important topics in the agricultural biotechnology arena." He explained in this email that these were specifically chosen "because of their influence on public policy, GM crop regulation, and consumer acceptance." In conjunction with the American Council on Science and Health (ACSH) and a public relations firm known as CMA – both of which are unabashed supporters of all things GMO – Sachs and his sellout academics wrote and published a series of pro-GMO puff pieces designed to mislead the public into thinking that there's a scientific consensus in support of GMOs. The truth is that there is not. Some of the participating names include none other than Kevin Folta of the University of Florida, who became a main target of criticism in an op-ed piece in The New York Times (NYT) that helped blow the lid on Monsanto's agenda of deception. Sachs approached Folta with a concept article that would "[hold] activists accountable," referring, of course, to people who oppose GMOs out of concern for safety and necessity. Others who cooperated with Monsanto include Nina Fedoroff, an emeritus professor of biology at Penn State University who played a key role in convincing the Environmental Protection Agency (EPA) to back off on a proposal that would have bulked up the regulatory scrutiny for approving new GMOs. Fedoroff did Monsanto's bidding by setting up a meeting with the EPA, in which she successfully convinced the EPA to drop its proposal. Another name involved in the scam was University of Illinois professor emeritus Bruce Chassy, who along with Fedoroff spearheaded the EPA bullying agenda to limit the agency's ability to properly regulate GMOs. The Times op-ed piece explains that Chassy led this effort in conjunction with Fedoroff, as well as an industry lobbyist by the name of Stanley Abramson, and Adrianne Massey, managing director of science and regulatory affairs at the pro-GMO Biotechnology Industry Association (BIO), which claims Monsanto as one of its members.